The breakdown of German coalition talks and the spectre of new elections have not spooked markets that much – so far. 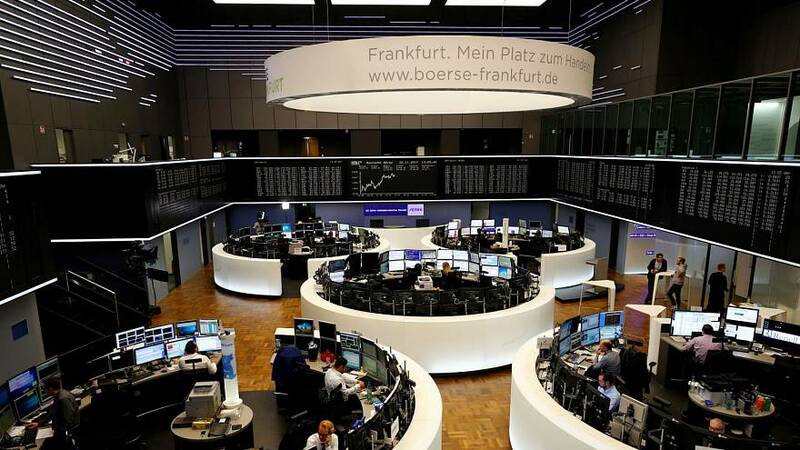 At the Frankfurt stock exchange, the blue-chip stock index hit a seven-week low on Monday morning but later rebounded to above 13,000 points. Both the euro and European shares also recovered from early selling. Analysts say confidence about the outlook for the global economy and the euro zone has helped investors brush off their concerns over the deadlock. And while Germany still hasn’t formed a government, it can boast a robust economic outlook – with forecasts pointing to growth of at least 2 percent this year. However, one trader said Merkel’s failure to form a coalition with the Greens and the FDP could delay a phase-out of coal-fired power production and slow down an expansion of wind and solar energy. That speculation boosted shares in utility RWE, up more than 3 percent, and hurt shares in wind power and photovoltaic firms. Chancellor Angela Merkel said earlier on Monday that her efforts to form a three-way coalition government had failed, pushing Europe’s biggest economy closer to a possible new election.